Mark Kenny is a far-left ideologue who hates free speech. 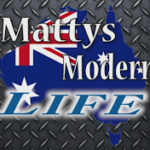 MattysModernLife takes him to task for calling a bill designed to protect free speech “hardline”. Haha I was about to ask about that! Always thought Chris Kenny was a good conservative commentator for the most part. Given how much the Chasers picked on him he must be doing something right. I give XYZ 12 months before there is a concerted effort to shut it down. Make sure you have contingencies in place guys. It is imperative that we preserve freeze peach as Australia deals with the consequences of grey marriage. The day they try to shut us down is the day we are already too big for them to do so. Just base XYZ in an offshore web server. It’s hosted in the USA, with an Australian sanctioned domain name. I respect David’s bravery in creating this venture in such an open and legitimate way, but to an outsider elements of it seem ripe for censorship. The Internet is the only thing standing between us and tyranny. I’m no expert but I can spitball ideas here if anyone’s interested.